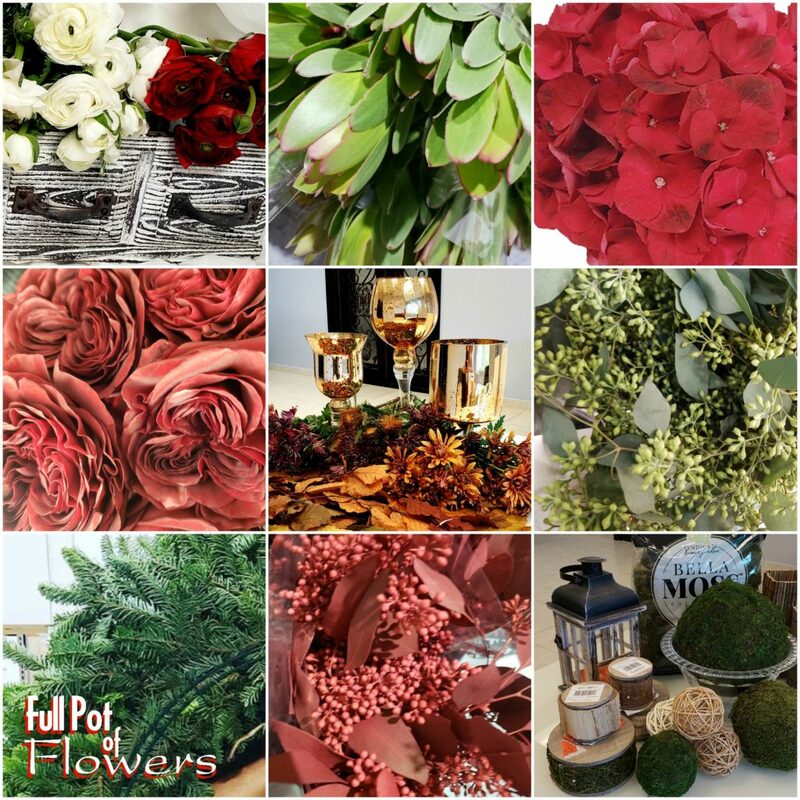 With Christmas fast approaching, we have picked nine items that are perfect for winter bouquets, arrangements, wreaths, tablescapes and more! Our Full Pot showroom is overflowing with festive vases and containers waiting to be filled. We also offer special glittery accents, on top of all the flowers and foliage your heart desires. You can find all these festive items at our showroom! 1.) Rustic container with hardware filled with red and white Ranunculus.